I am so glad you have stopped by! 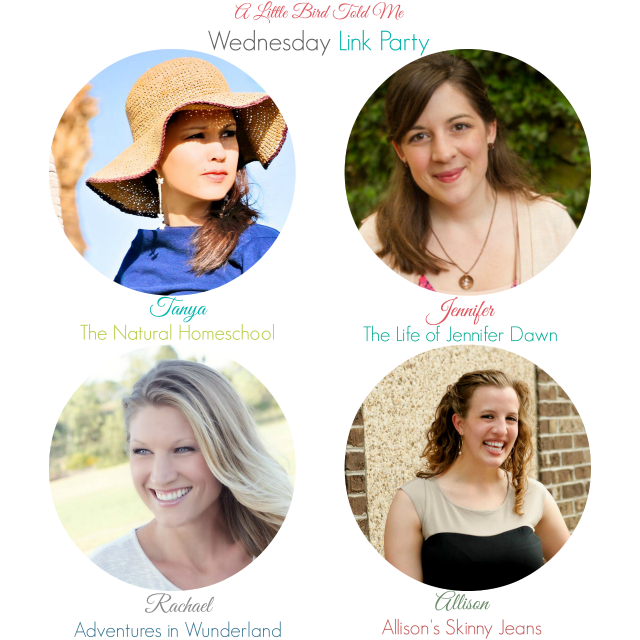 I am very excited to be joining this weekly link party! Allison Blog / Facebook / Instagram / Twitter / Pinterest It's time to PARTY! There are so many fabulous bloggers doing amazing things - and this is a great way to spotlight what you have been working on! Feel free to link up a recipe, craft, home decor project, homeschool post, activity/craft for kids, or any other post you want to show off! Your post will be shown on each host's blog where we will individually pick features each week. Follow each host, grab a button, link up, visit others, and be sure to leave some comment love on each other's posts! If you don't have anything to link up, get ready to be inspired! Grab a cup of coffee and enjoy some blog hopping! Remember that you must link back in order to be featured. I will feature 4 fabulous posts each week!